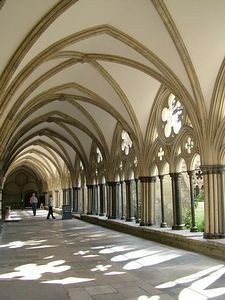 Salisbury Cathedral, set in the elegant splendour of the Cathedral Close, is one of the finest medieval buildings in Britain. The nave, quire and chapels were built in one phase between 1220 and 1258, with the spire (the tallest in Britain (123m/404ft) added a generation later. 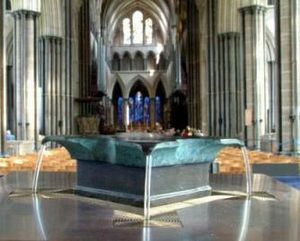 The Cathedral also houses the best preserved of only 4 original surviving Magna Carta (1215 AD) and Europe's oldest working clock (1386 AD). There is a unique 13th century frieze of bible stories in the octagonal Chapter House. Boy and girl choristers sing daily services, continuing a tradition of worship that dates back nearly 800 years. 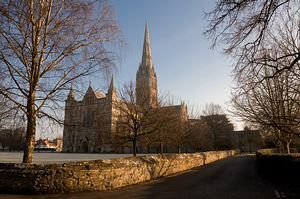 Join a tower tour climbing 332 steps to the base of the spire, and marvel at the medieval craftmanship and the magnificent views of the surrounding countryside. Still Photographs by Steve Day and Ash Mills.